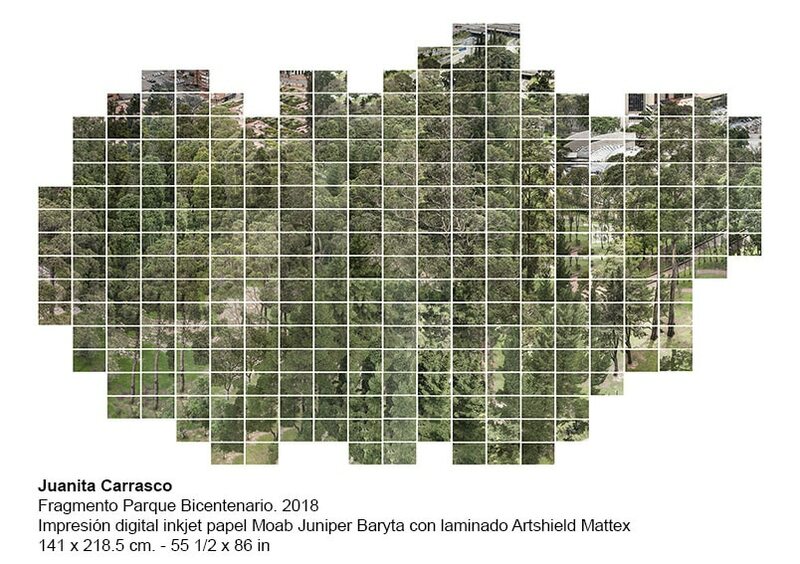 Juanita Carrasco has spent 12 years exploring cities seeking to understand them historically, socially, and spatially through extensive tours and their detailed observation. 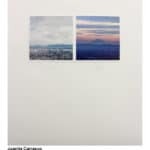 Photography has been a tool that has allowed her to record everything that motivates her in a sincere and spontaneous manner. 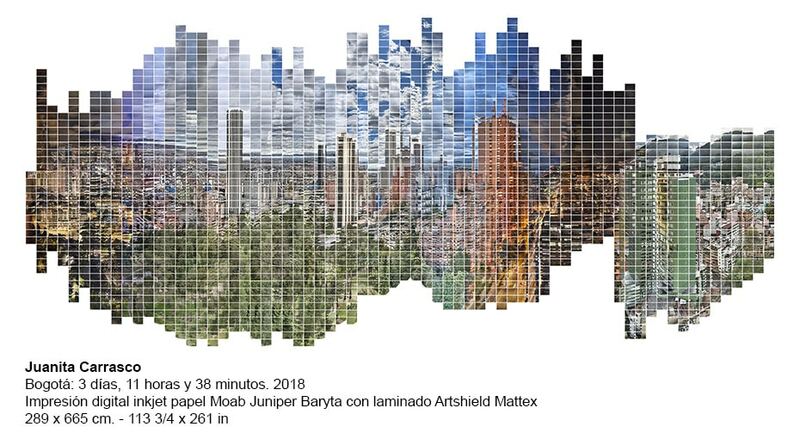 In her inquiries through different metropolises, she has been interested by the volumes of buildings, the lines that form the streets and noise in densely-populated urban spaces. 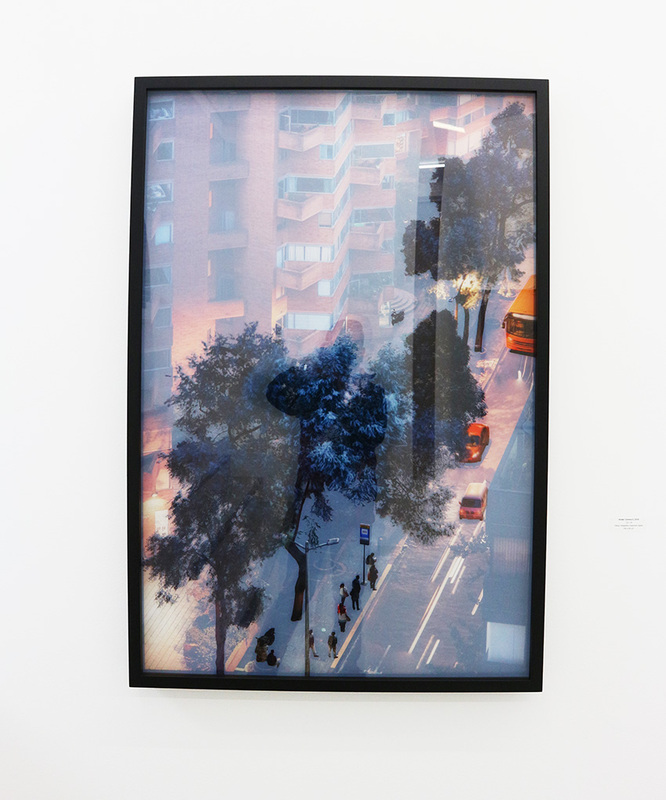 She also observes the variations in light, urban spaces and the characters that inhabit and permanently transform them, the continual construction and reconstruction of the city, its change, and movement. 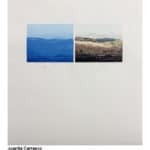 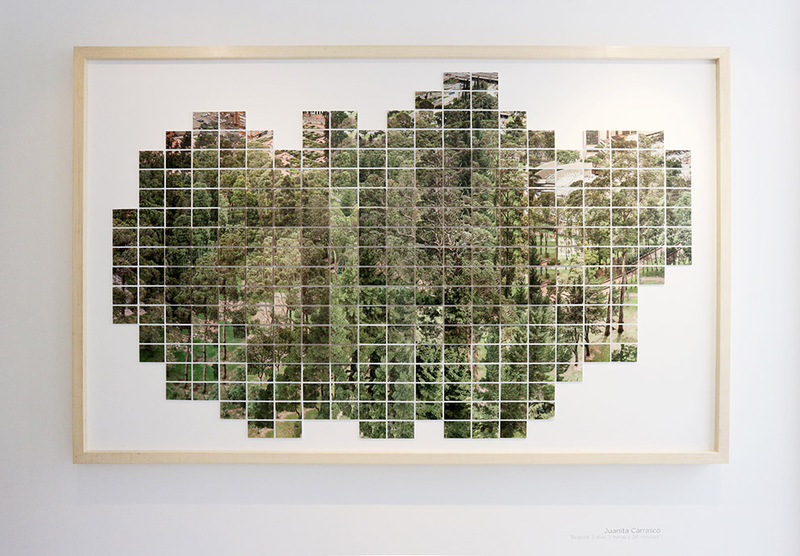 From her walks numerous images arise, which she accumulates, organizes, and categorizes to compare them and search for relationships between them. 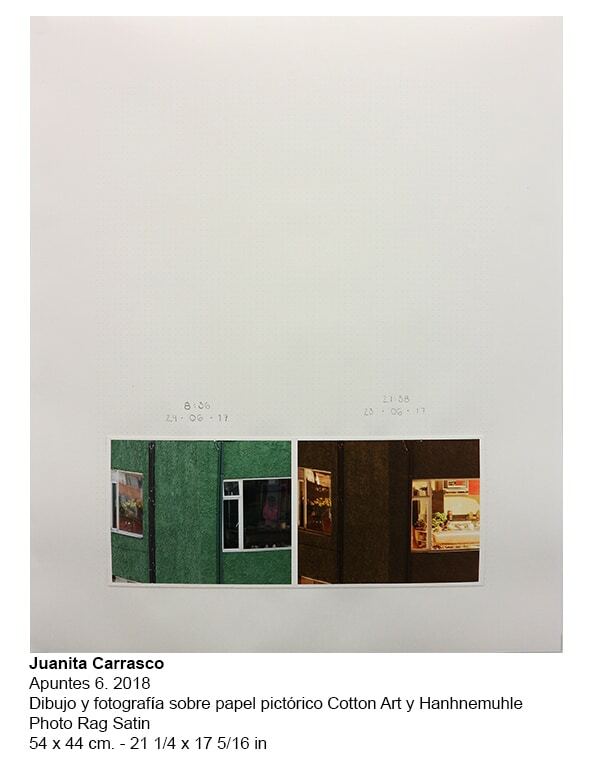 After a class in her M.A. 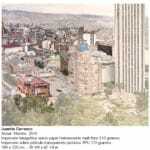 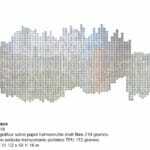 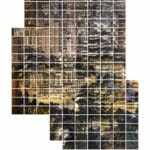 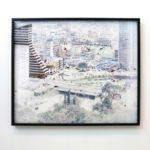 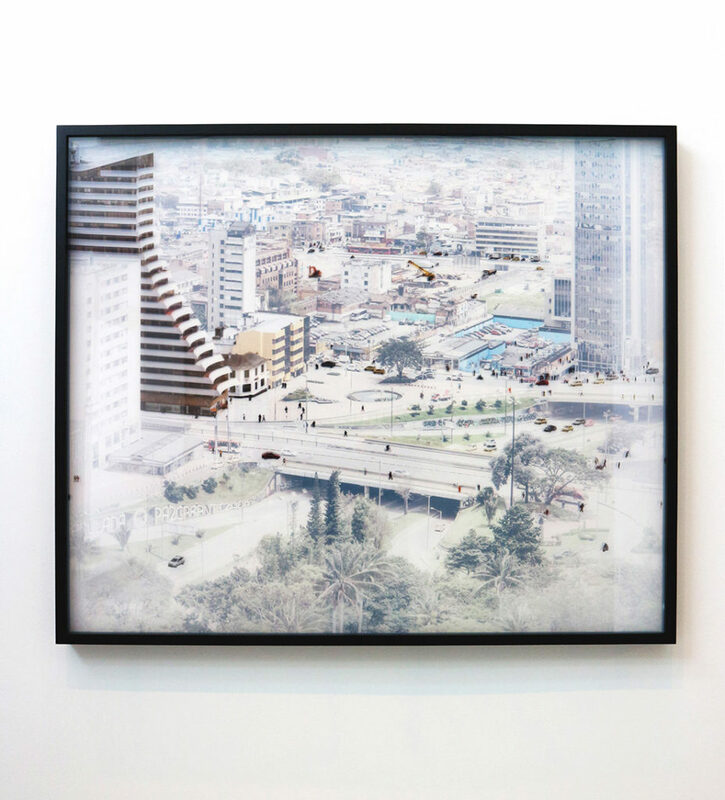 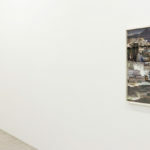 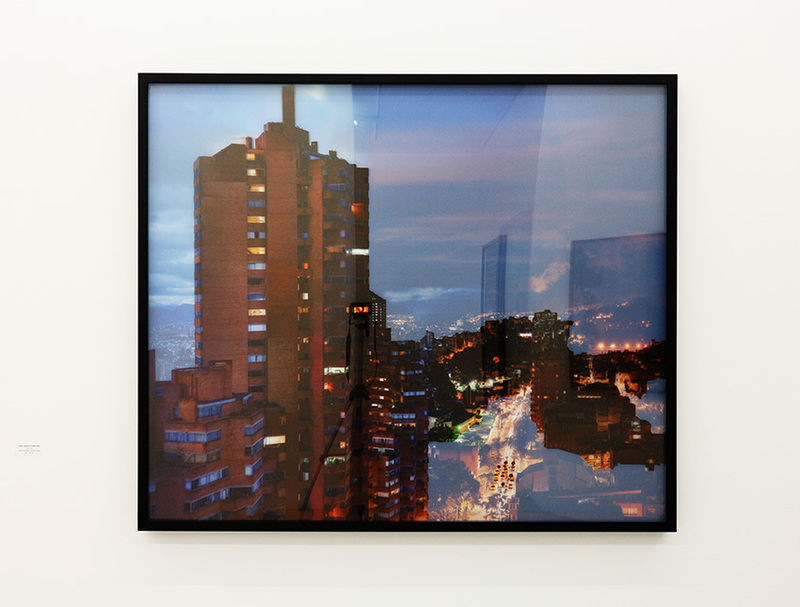 in Photography with Professor Xavier Ribas, the artist appropriated her way of studying cities. 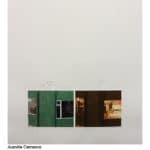 She started this process, initially investigating in a bookshop, then going up to a high roof, and finally, moving through the streets. 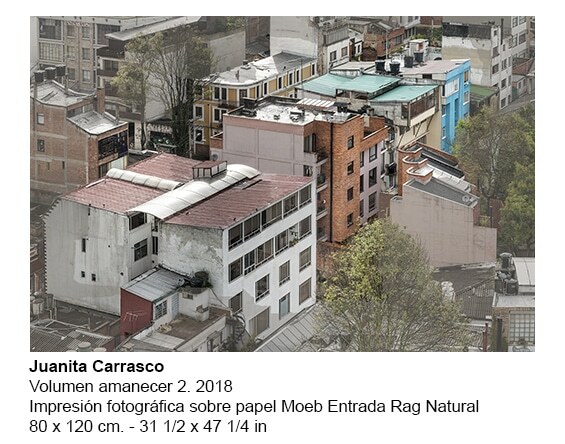 Searching in this way, she would find high roofs in peaceful places where she could dedicate herself to observing for days and hours. 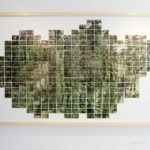 In this place, she traces coordinates with the camera in an obsessive and repetitive way, a reflection of a digital exercise, where she simultaneously gets close and moves away from different places with her lens. 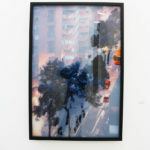 In bookshops she acquires maps, studies urban, artistic and literary references and speaks with people about histories and places. 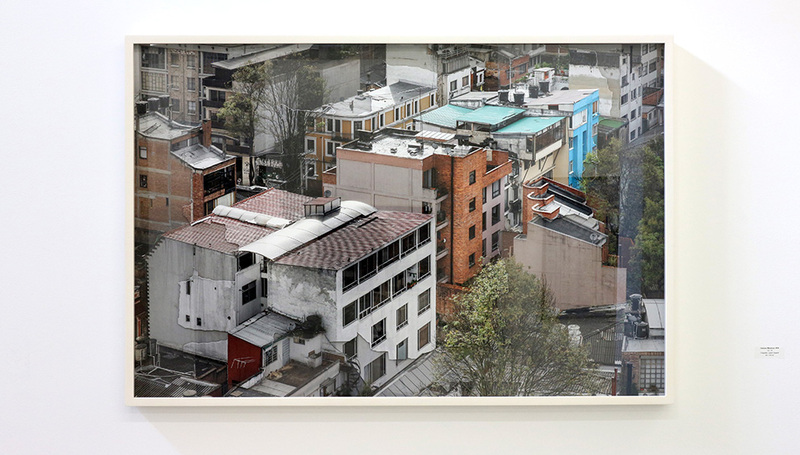 In the streets, she feels the proximity of the city, and finds in the analogic exercise a different way to observe and approach. 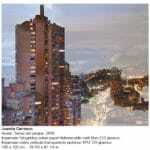 For the artist there are some references that are important in the development of her work. 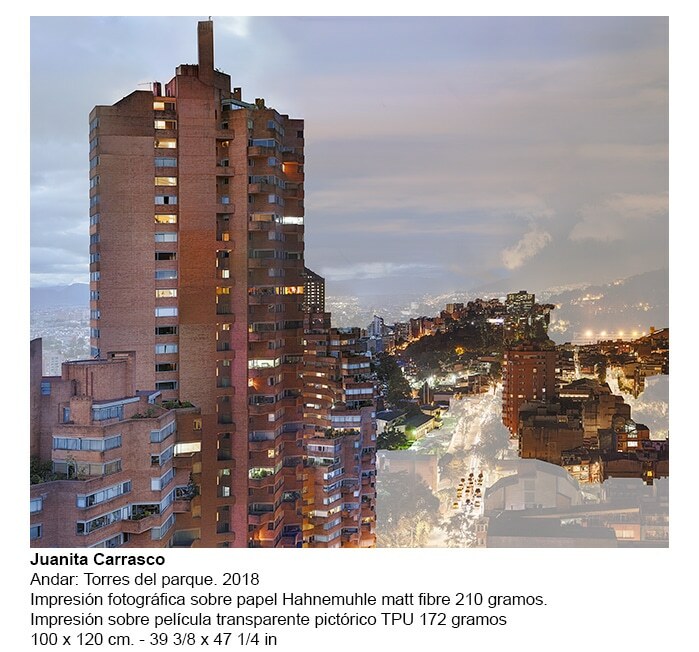 She highlights that she has been supported by the texts of Armando Silva such as “Urban Imaginary”and the works of David Hockney as the artist performed decompositions of spaces. 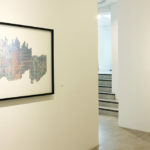 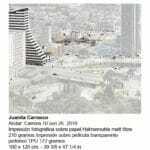 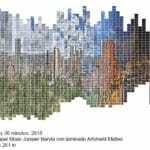 At the same time, she is interested by Enric Miralles’ architectural vision of the city and Gerard Richter’s collection process of drawings, cuttings and photography, with his work Atlas. 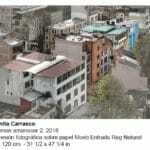 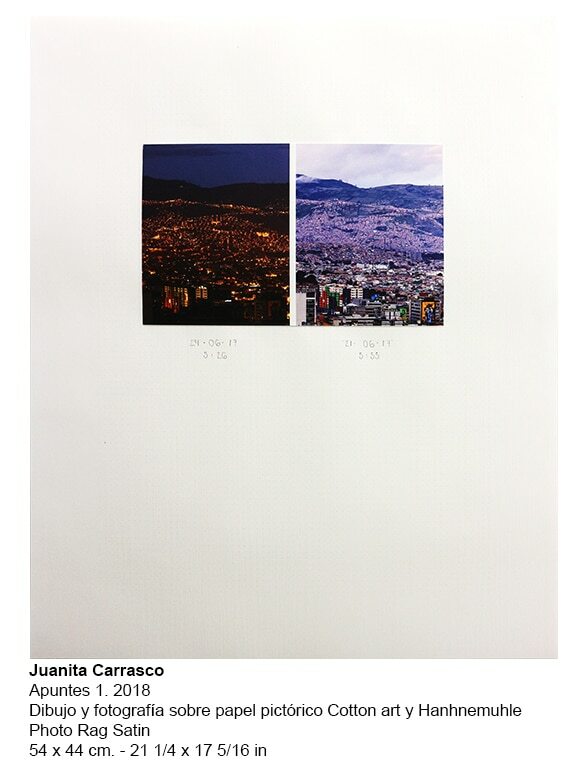 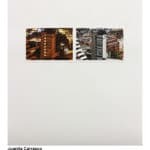 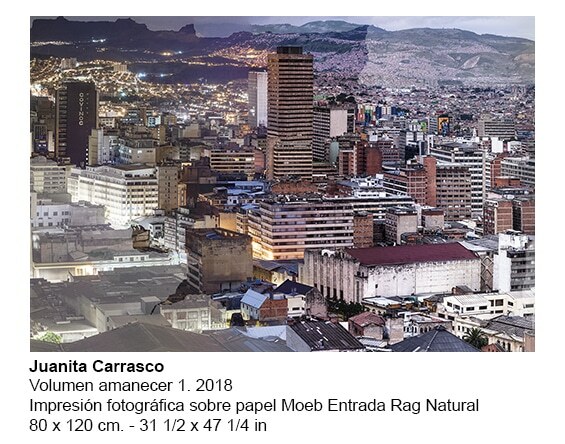 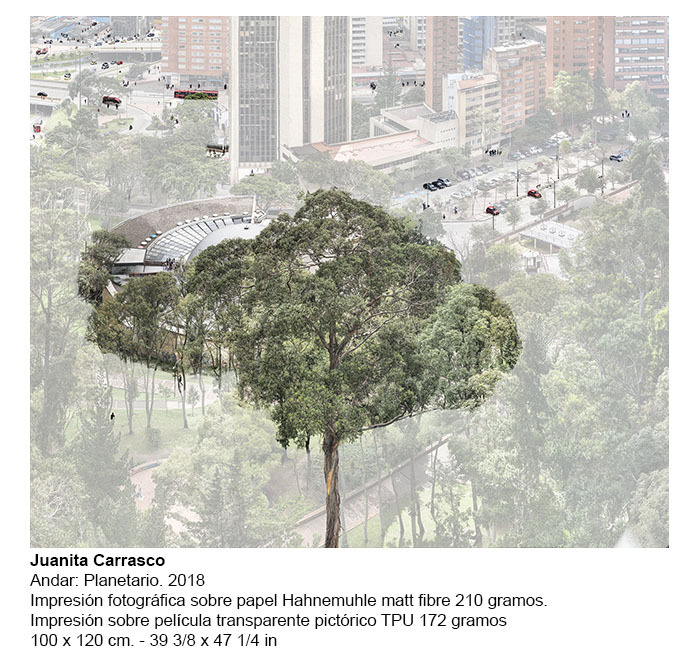 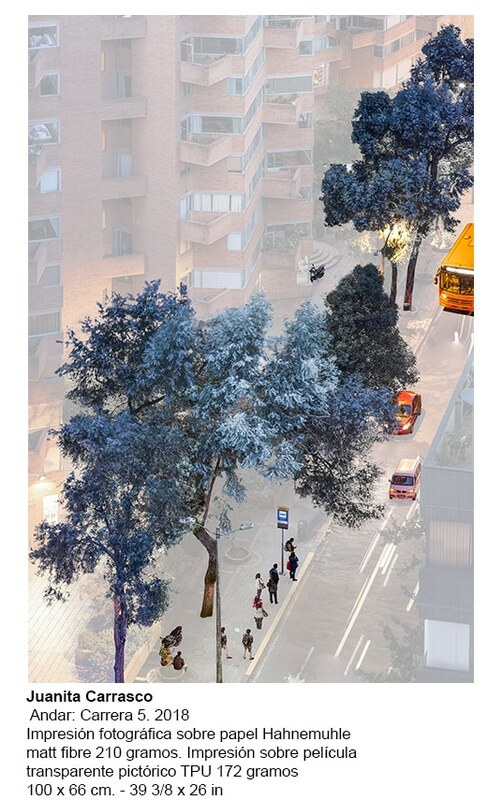 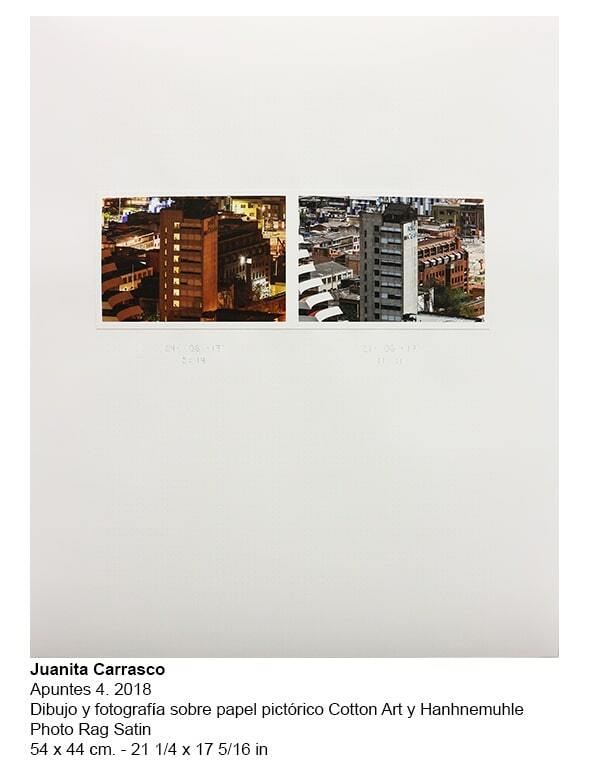 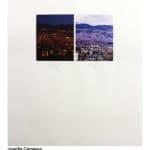 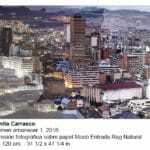 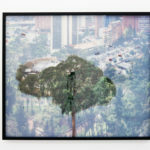 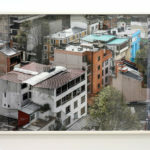 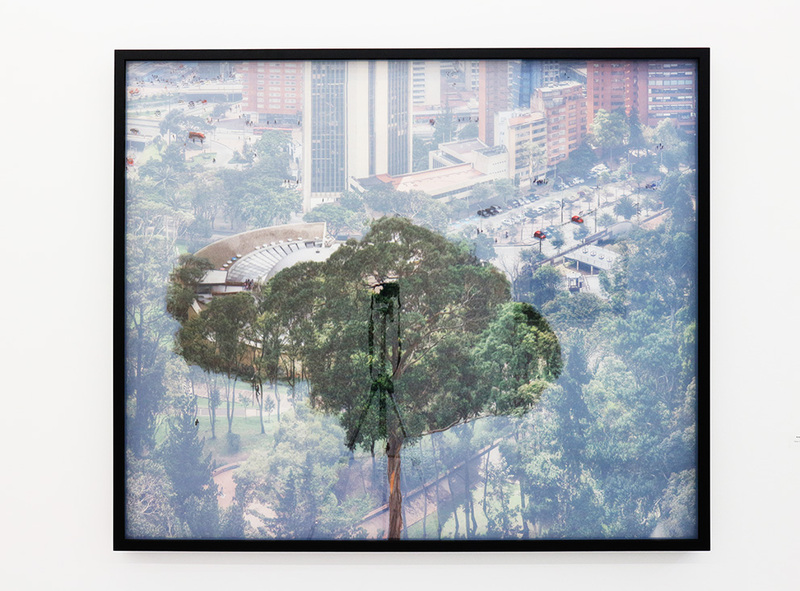 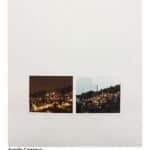 In Bogota: 3 days, 11 hours and 38 minutes, Carrasco presents a series of photographs that reveal the city under another gaze. 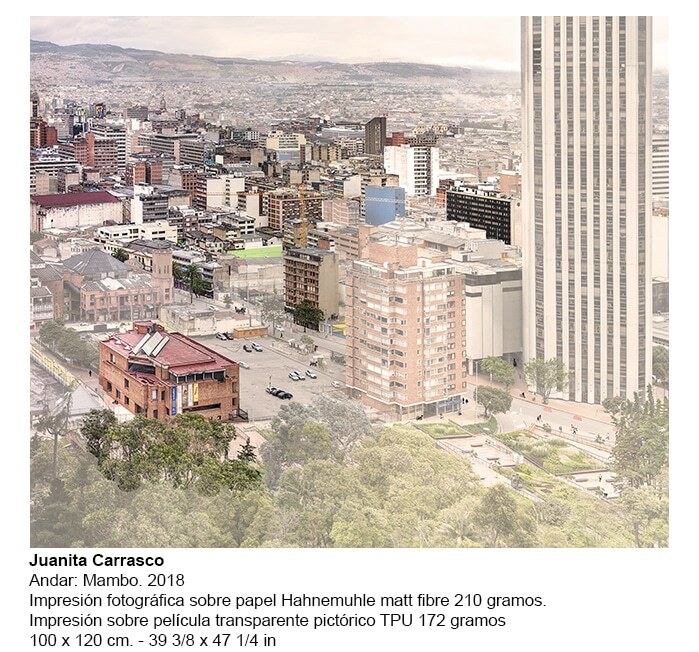 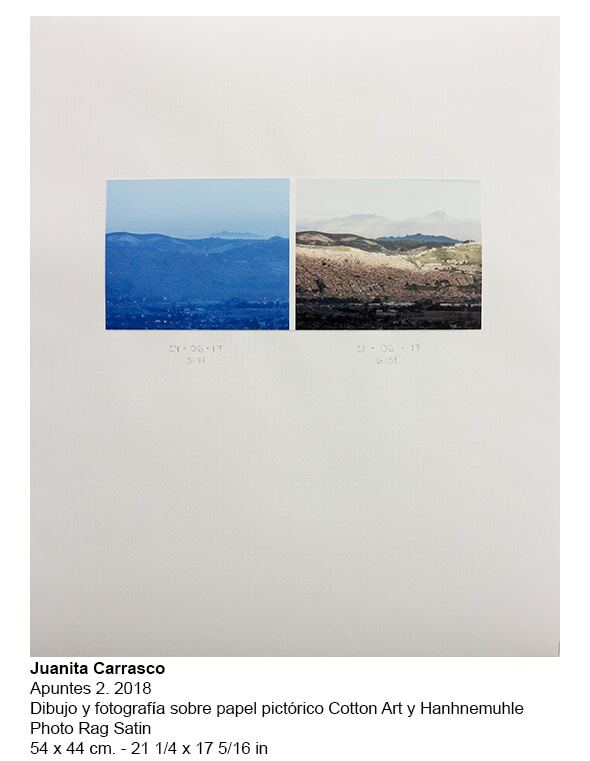 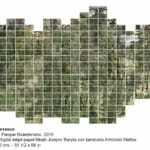 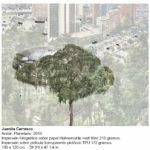 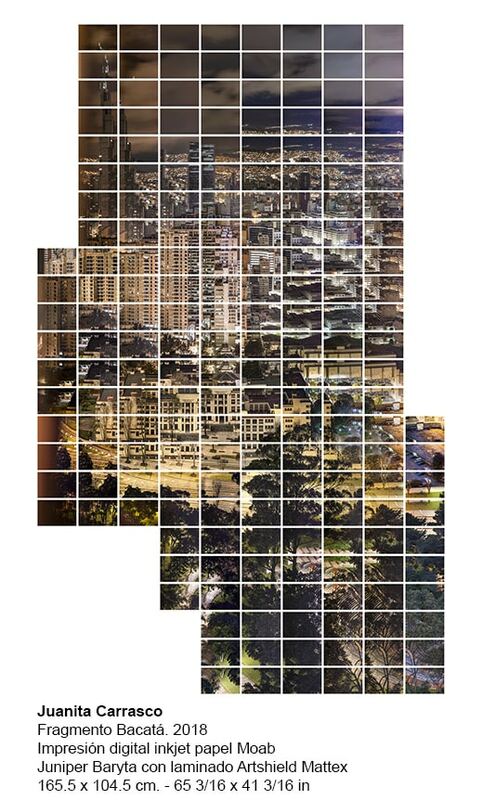 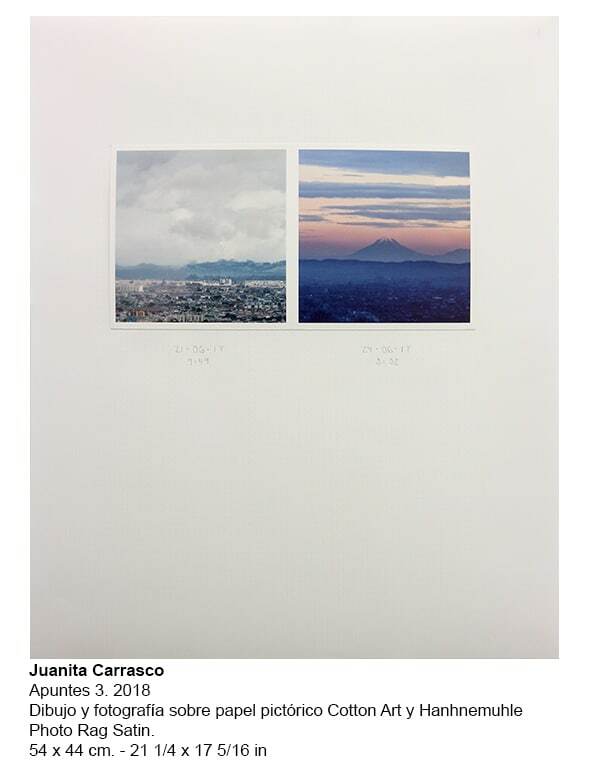 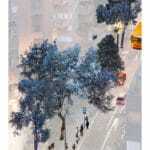 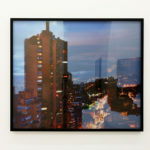 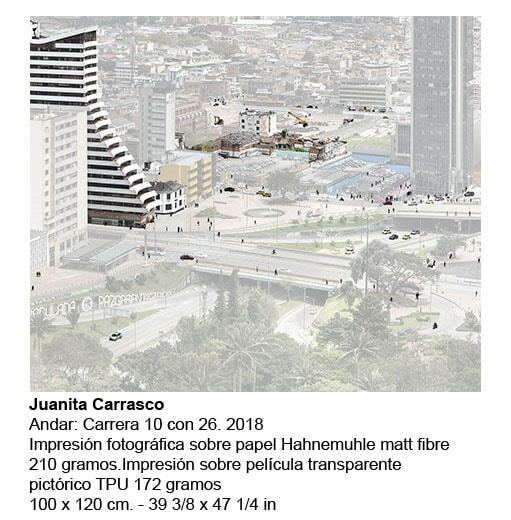 Principally, she shows a panorama made up of 2293 photographs, taken during five continuous days from the 27th floor of the Bosque Izquierdo Tower, starting Wednesday June 20, 2017 at 21:24, and ending Saturday 24 at 9.02. 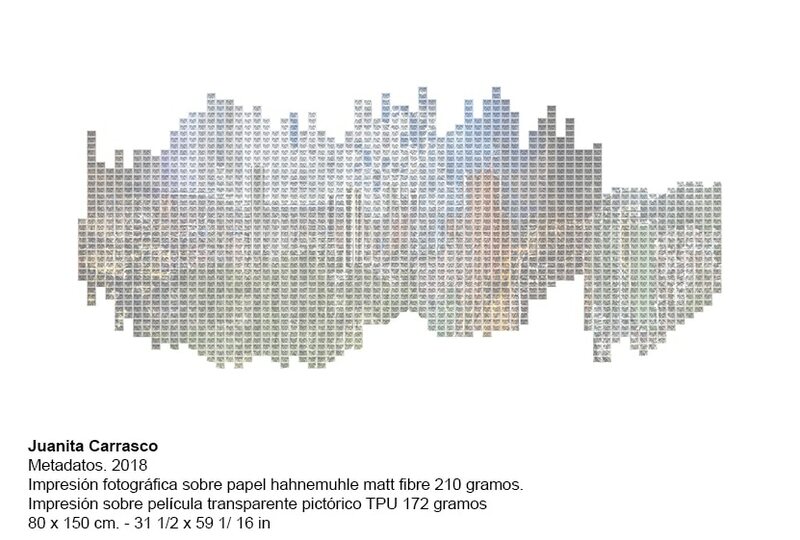 This process took a year of organization, classification, editing and reorganization to generate this map of 6.65 meters by 2.89 that recreates the life of Bogota in 2017. 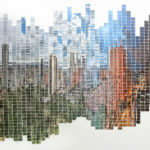 The works on display capture the unnoticed details of daily life, the passage of time, changes in form and light. 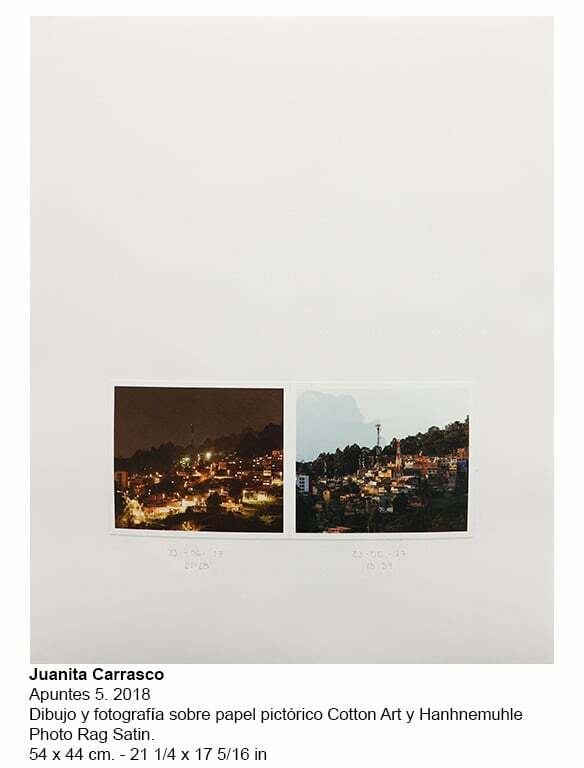 It shows the movement of day and night, routines… the invisible.